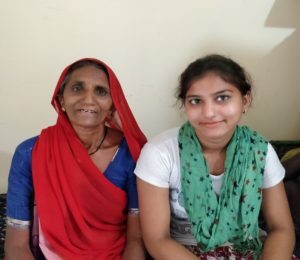 Tulsi Khetaji Meghwal (age 21), a bright student and a daughter of a vegetable vendor, studied up to grade 7 under Gyan Shala’s guidance in Yogeshwarnagar (one of the slum areas in Vasna, Ahmedabad). Being one of the brightest minds, she went on to score distinction (89%) in Grade 12 (Science stream) and is on her way to be a Computer Engineer in a year. She aims to undergo higher education (a master’s degree) in future with suitable financial support. Meena Parmar, a slum resident of Khodiyanagar, Ahmedabad is a prime example of fighting all odds with a never give-up attitude. When Meena was 8 years old, her family faced a great tragedy as her father (the sole earning member) passed away due to critical illness leaving behind the burden of seven siblings on the shoulder of her mother. The days turned gloomy as her mother started working as a labourer to make two ends meet. But that was not enough for her growing children. The abject poverty reached a stage where their struggle was only for survival and two times meal. Their life was in gloom and no hopes with future. Eventually, Meena’s brothers forcefully started to earn two cents by polishing shoes to manage their family expenses. 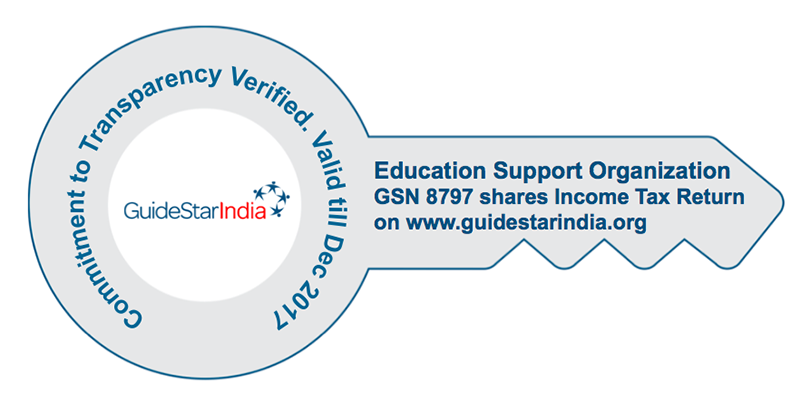 At this particular juncture, Gyan Shala motivated Meena to continue her studies. With the dogged spirit of Meena and holistic platform that Gyan Shala provided, she recently passed 10th board exams securing 45% despite all odds. She is the only sibling (one of seven) to have studied this far. Amisha sets an exemplary example for others that a person should not be pushed back by problems but should be pulled up by their dreams by scoring 98.97 percentile in Grade 12 HSC examination (Science). Amisha, 18, is living with her parents and 3 siblings (two younger brothers and a sister) in Gupta Nagar slums, Ahmedabad. Since Amisha’s father is the sole bread-earner in her family, it has been a great challenge for her family to manage funds to support four children’s education. There was no school in the vicinity of Guptanagar slums, but due to the presence of Gyan Shala centres, Amisha got an opportunity to kick-start her educational journey. She took admission in grade 1 and continued till class 10 owing to comprehensive learning. She made everyone proud by scoring 97.94 percentile in Grade 10 Board exams. She wanted to become a doctor and hence took admission (Grade 11) in another school as Gyan Shala runs programme till grade 10. 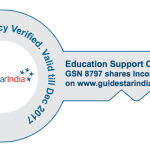 On interviewing her parents after HSC Results, they share “We heartily accolade Gyan Shala’s profound impact on our girl and its efforts to germinate the seeds of education and build a foundation stone for Amisha’s career”. Today, Amisha aspires to become a doctor. Her dogged spirit and perseverance is a testament to her dreams and hard work. Amisha’s younger brother is also a beneficiary of Gyan Shala and draws inspiration from elder sister Amisha. Can you imagine the struggle of parents to fund the education of two daughters, who even face difficulties in managing the daily chores and two-time meals? This story is a strong case of real struggle and challenges of life. Jinkal (elder) and Kinjal (younger) are two sisters living with their parents in Pragati Nagar slums of Ahmedabad. In order to support livelihood, their parents have struggled a lot. Their father had no option other than to work as traffic police even though his health was not supporting him while mother was working as a field labourer. If this was not enough, they faced extreme conditions when their father suffered from brain damage. Against all odds, Jinkal (elder daughter) recently passed grade 12 examination with 90 percentile while Kinjal (younger daughter) passed grade 10 examination with 89 percentile. Arun lalabhai Dantani, a 15 year old boy living in Guptanagar slums area in Ahmedabad is a shining example of dedication to improve one’s life. Arun’s parents are vegetable vendors and he has two brothers named Satish (studied up to grade 9 in Gyan Shala) and Karan (studied up to grade 7 in Gyan Shala). A surprise visit by members of Gyan Shala education center in Vasna slums in Ahmedabad brought a huge change in Arun and his sibling’s lives. He joined Gyan Shala in grade 1 (10 years back) like other slum children and had neither knowledge about alphabets or numbers nor any motivation to educate himself. His daily routine included waking up at 5 am to study for two hours followed by school hours (Gyan Shala) from 8 to 1:30 pm. After finishing with his lunch, he went to work from 3:30 pm to 9:30 pm and revised daily teachings for two hours before sleeping. 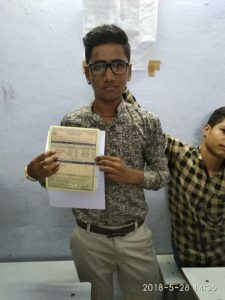 Arun appeared for 10th grade examinations (2018) and secured distinction scoring 74%. 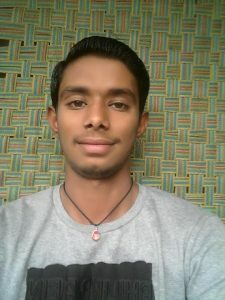 Mahesh Vinodbhai Vaghela (age 20), is one of the rising students of Gyan Shala. He has studied up to grade 10 in one of the Gyan Shala’s classes and wanted to pursue higher studies but unfortunately, his father who was the sole earner of the family passed away when he was 15 years old. He shares, “After that incident, I grew more strong, started working as a vegetable vendor waking up at 4:30 am daily to make two ends meet for my family (mother and two siblings). Due to financial and time constraints, I could not pursue higher education. But with renewed vigor in form of my brother (currently studying in Gyan Shala Grade 9 classes), I would make sure to fulfill his (my) dreams of achieving higher education. 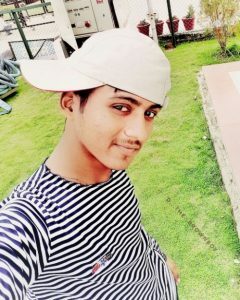 Sargara Dipak Dineshbhai (age 18), son of a cloth businessman, has studied up to grade 10 in Gyan Shala. Then he went on to pursue Grade 12 (Commerce stream).Currently he’s in first year of B.Com and is a prime example of self-reliance of students with basic education.